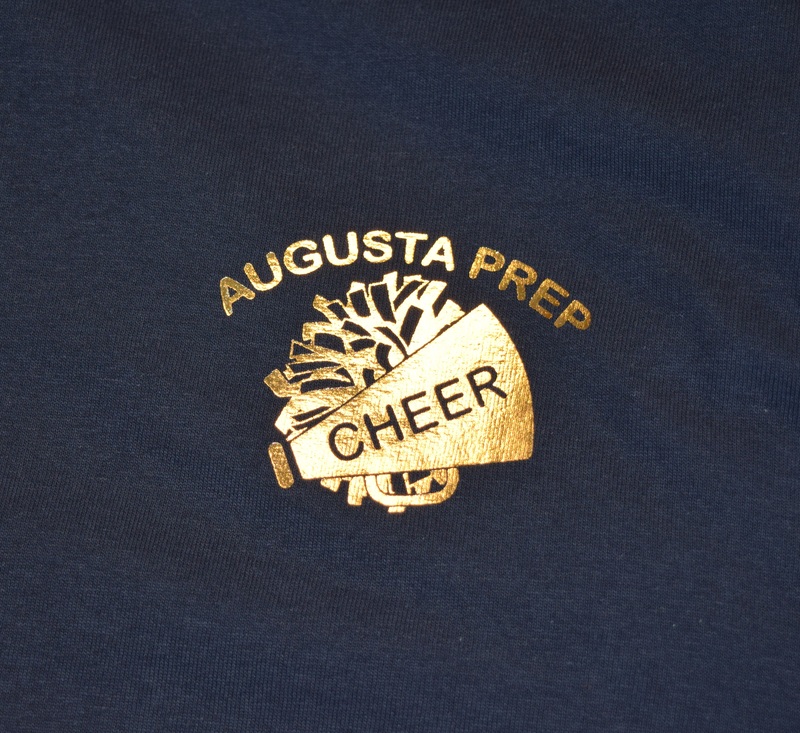 Foil printing is the way to give your t-shirt designs that added sparkle that make them stand out. 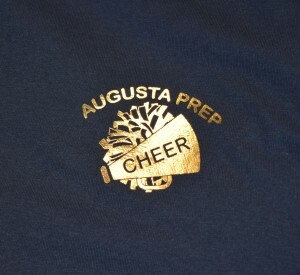 This is one of our most popular specialty printing options, and is sure to make your shirts stand out from the crowd! It works great as a design accent as well as a bold iconic statement. Your designs will POP. 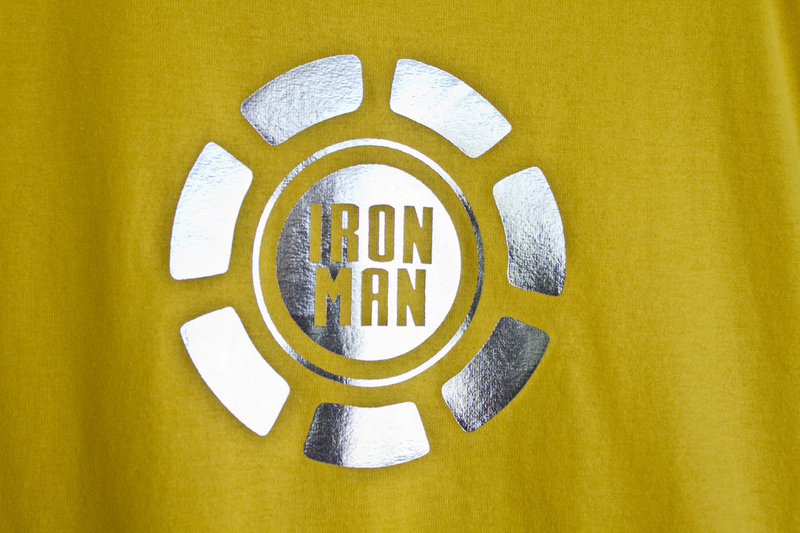 To add this metallic look to your shirt, we take your design and run it through the standard screen printing process but with a special ink that is a super adhesive. Once that process has been completed, we take your custom printed shirt over to our heat transfer machine, lay the professional grade foil on top of your shirt, apply heat and pressure and then remove the foil. Where we applied the adhesive in the screen printing process is where the metallic design will remain. To learn more about the process or about using foil on your t-shirts, contact us today. Foil is a premium method so you NEED it done correctly. Our process achieves professional results and your foil prints will look superior to many of the top name brands on the market. Foil is available in distressed and non-distressed options. Non-distressed foil is solid foil, which has a more clean and polished look. Distressed foil has a worn/vintage look with bits of the foil removed from the design. While foil offers one of the highest sheens of any metallic inks, it is not considered a permanent application specialty ink. It will naturally distress over time with wear and wash. For something more permanent, metallic inks are a good option. 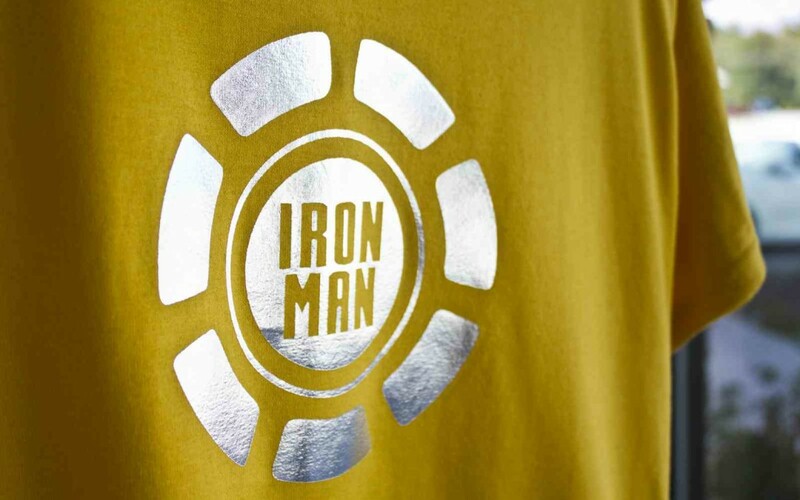 For best results, we suggest washing your foil printed shirts inside out in cold water, and line drying. Ironing and bleach are not recommended for foil prints. We recommend using t-shirts that have a tight woven fiber and no ribbing.